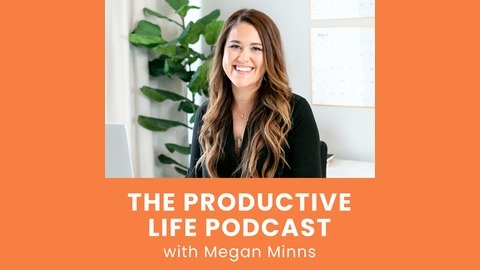 Welcome to The Productive Life Podcast with Megan Minns! This is a weekly podcast for entrepreneurs, small business owners, and side hustlers who want to be more productive in their business and personal life. We believe that you can create a business and personal life that not only co-exist but allow you to thrive and accomplish your goals. We believe that you can have a business without sacrificing your personal life, health, or happiness. 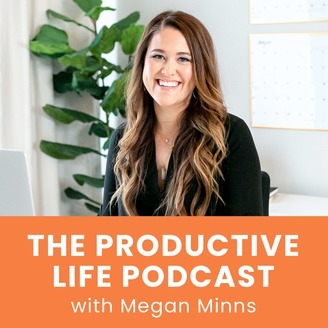 Each week we’ll discuss productivity and time management so we can get the important work done on a daily basis; organization so that we can have an office, home, and digital space that brings calm to our day; wellness and self-care so that we can learn how to take care of ourselves, our mind, and our body while building a business; personal development so that we can keep learning and growing; and online business strategies, tips and tricks, lessons learned, and how other people run their business. We aren’t perfect but every day we make progress and move closer to our achieving our goals. Creating and sharing content on any platform can be terrifying and bring doubts and insecurity to even the most confident people. That fear and insecurity held me back in business and in my life for so long, until I made this one, quick, simple, yet incredibly powerful mindset change. DISCLAIMER: This podcast and description may contain affiliate links, which means that if you click on one of the product links, I’ll receive a small commission. This helps support the podcast and allows me to continue to make videos like this. I only recommend products that I use and love. Thank you for your support!